THE Reliance Gear Company has added a new, compact, size 11 tubular rack actuator to its standard product range. Just like the larger size 17 actuator, the size 11 model offers the design engineer smooth, quiet operation which is lubrication free with no metal to metal contact. In addition, the small 31mm footprint and maximum continuous axial load of 3N allows the size 11 actuator to provide a neat solution for lightly loaded applications where space is limited. The actuator uses Reliance tubular rack, which enables fluids, tubes or wires to be passed through the assembly, reducing the risk of entanglement, and keeping the system tidy. * Pick and place machines. The modular design allows the actuator to be modified easily to suit customer specific requirements. 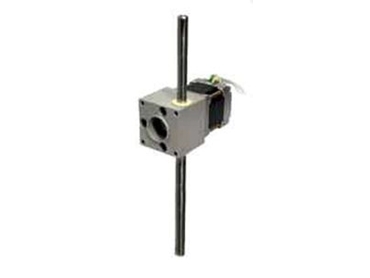 On a 20mm stroke length the actuator can cycle at 0.15 seconds, axially repeating within 0.025mm. The tip can be precisely positioned in the x-y plane within ±0.1mm for a rack extension of 50mm.